I have known that for years – it’s why my husband and I chose to stay here after we graduated from college. It’s why we started our business here in Gloucester. And it’s why we are raising our son here. This past week, while attending the Virginia Economic Developers Association Spring 2019 Conference in Harrisonburg, I was reminded yet again just how powerful LOVING WHERE YOU LIVE can be on cultivating a community and growing the opportunities available here for all. The keynote speaker at the conference, Melody Warnick, author of “This is Where You Belong,” (a book I read and LOVED every word of), left me with these important notes that as part of this month’s Chairman’s Corner (the monthly round up of news from the Gloucester Main Street Association Board of Directors), I wanted to share with all of you. They are relevant to the Middle Peninsula, to Gloucester and to our beloved Main Street. 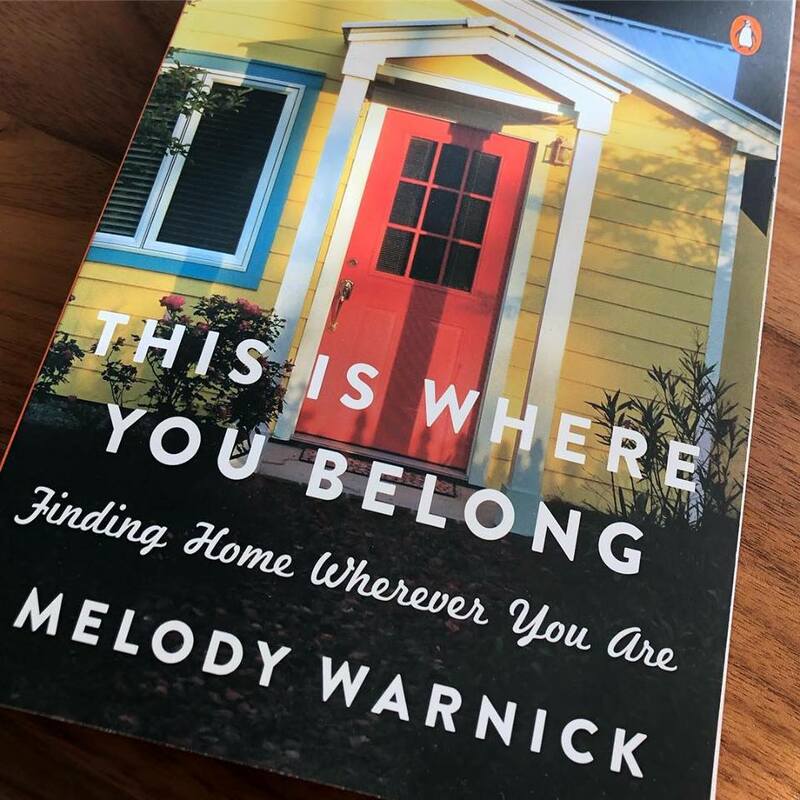 First and foremost, Warnick explained that she set out in her book to better understand what makes people love where they live and what makes a community feel like home. She uncovered that she was not the only one who wondered these things, and found that PLACE ATTACHMENT, or the feeling of being at home in a place, and its impact on people and communities has been widely studied. Place attachment, she said, is a feeling that there is no place like home. That this is where I belong. That this is where I want to be. Research shows, Warnick said, that there are a lot of concrete benefits to feeling place attached – for people and places. For one, people who are place attached have higher levels of social capital, self-esteem and feelings of well-being. In fact, people who know and trust their neighbors, which is a part of place attachment, have less heart attacks and fewer strokes. Place attachment is really good for places, too, she said. Place attached people volunteer more. They are more likely to work with their neighbors to accomplish things, and they stand up for their physical environment. As place attachment goes up in a community, so does local GDP. In other words, towns do better when the people who live there like it and want to stay. People who are place attached tend to buy local and tend to eat at local restaurants. They invest. They donate. They are more likely to be entrepreneurial. Not feeling place attached? It can be strengthened like a muscle, Warnick said. In fact, her entire book was based on her own experiments to become more place attached. -Walk and bike. The sidewalks along Gloucester Main Street are perfect for just this. -Buy local. Go to farmers markets. Explore the boutiques all along Main Street. Become a local at a restaurant. Join a CSA. This place attachment work is important not just for all of us living here today, but also for the future of our entire region. As you may know, Gloucester Main Street is the ONLY designated Main Street on the Middle Peninsula. As we look to grow the economic vitality of the entire region, Main Street is an asset to showcase. Why? As businesses look to open, expand, scale or relocate their operations, they will look to places where they can get the best workforce. The workforce of today prioritizes PLACE in choosing where they live because quality of life matters. In other words, businesses are looking for a place where they can find the right employees to grow, and employees are looking for a place where they can feel attached. What does all of this have to do with Gloucester Main Street? Throughout the entire keynote presentation, I couldn’t help but think about just how much work has been done over the last two decades by the Gloucester Main Street Preservation Trust and the Gloucester Main Street Association to bring a community-driven strategy to shape this Main Street space into a place where people want to live, work and play. Main Street is a place where people want to gather. We focus on the authentic assets of our downtown. And we strive to bring the entire community together to help create everything we have coming out of the historic village. Having that culture as our foundation moving forward in future strategies, events and work with the Gloucester Main Street Association in partnership with other community organizations, there is nothing but good things ahead. As you all know, the Gloucester Main Street Association is a 501c6 non-profit organization made up of business owners, commercial property owners, along with other supporters of Gloucester’s Main Street in the Historic Gloucester Village. Our mission is to promote Main Street, develop and implement events and promotions and attract additional business, residents and visitors to our downtown. We strive to make our Main Street beautiful and a great place to visit, live, invest and work. But we need YOU…a TEAM…to keep making that happen. That’s why you are invited to join the Gloucester Main Street Association – whether you are a business on Main Street or not. Whether you live on Main Street or not. Creating and maintaining a thriving Main Street impacts us all, across the entire region. Click HERE to download the new membership application which Executive Director Jennifer Haggerty has been sharing across the community. There are opportunities to become a basic member, enhanced member, supreme member, professional partner, or a community member. Each level gets you different access to special events, trainings, marketing and feature opportunities, and more. The Gloucester Main Street Association Board of Directors meets monthly at 8 a.m. in the conference room of the Main Street offices in the Main Street Center. If you would like to share any news with the Board, please consider joining us for the beginning of our monthly meetings where we will have a public comment period. Please note that on some occasions, due to the sensitivity of Board decisions, the Board will go into a closed session. That will be noted on agendas as they are shared! We NEED you! If you would like to volunteer to help us put on events across Main Street, come up with fresh ideas to build our community, please go HERE and submit your information. We love to have volunteers serving on our event committees, at the events and helping us spread the news about Main Street. FEEDBACK? IDEAS? WANT TO CHAT? We want to HEAR from you! Questions? Ideas? Please contact me at stephanie@consociatemedia.com!